LAMP is an acronym that stands for Linux Apache, MySQL/MariaDB and PHP. i have LAMP installation post for PiHome but i see lots and lots of people are looking for setting up php 7 with phpMyAdmin and MariaDB on raspberry pi and there isn’t any comprehensive set of instruction that covers this all for PHP 7, MariaDB on raspberry pi. If you are looking for Raspberry pi SD card image for LAMP (Apache, PHP 7.0 and MySQL/MariaDB on a Raspberry Pi with phpMyAdmin) pre installed then check out Download section. Follow OS (Raspbian Jessie) Installation and WiFi Configuration posts to install and get WiFi configured without any screen connected to Raspberry pi. Issue following commands to update your raspberry pi. Modify /etc/apt/sources.list and uncomment stretch sources. Lets install Apache 2 web server on raspberry pi alone with common packages, you can add extra packages as your need. Now you are test your apache2 installation. 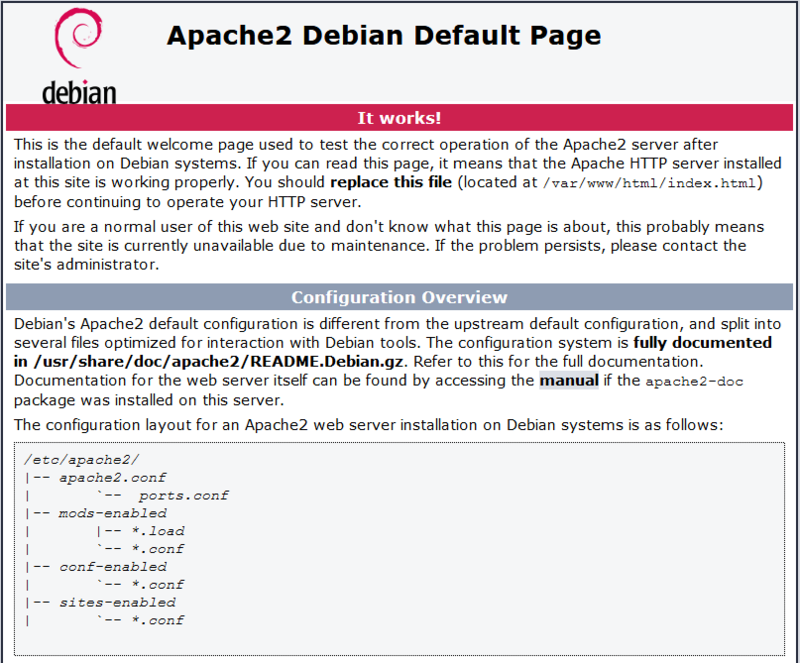 In your browser visit the IP address of your raspberry pi, you should see default Debian page. As to date PHP 7.0 hasn’t added to the official repository sources, so you need to add one which provides the PHP 7.0 packages. You have to determine which version of raspbian you have installed. After figuring out which version, choose the one for jessie or the one for stretch. Make sure you choose the correct repository for the version of raspbian. Modify /etc/apt/sources.list file, my sources.list files look like this for Raspbian jessie. Now add some certificates to use the sources we just added with apt-get. After successfully adding source and certificates now time to update packages list. We are ready to install PHP 7 along with some common packages that you may need for web application. Once Php 7 get installed successfully you can test php and Apache installation. During MariaDB Server installation you will be asked to set password for the MariaDB Administrative root user. Note: if you don’t get option to enter password for MySQL/MariaDB simply run sudo mysql_secure_installation and enter root credentials for MySQL/MariaDB. MariaDB Server on Raspberry Pi set password Administrative root user. Confirm password for Administrative root user. MariaDB Server on Raspberry Pi confirm password Administrative root user. phpMyAdmin isn’t required but it will make your life easier if you need to do any troubleshooting for MariaDB/MySQL Database server. Thank you for the effort. I have already done this and it installs all elements OK. I was hoping you could find a reason and a fix to the fact that phpMyAdmin installs with NO privileges and is de facto unusable. If you can fix this you would be the first. I have planned to buy pi3 as currently I’m using pi2. any tips for optimization to load my site faster? I went to the http://repozytorium.mati75.eu. You have to determine which version of raspbian you have installed. After figuring out which version choose the one for jessie or the one for stretch. Make sure you choose the correct repository for the version of raspbian. has something changed and how do i get root access password ? can you share logs of your installation? can you run following command ? First Thanks for the Reply I went through the “sudo mysql_secure_installation”. 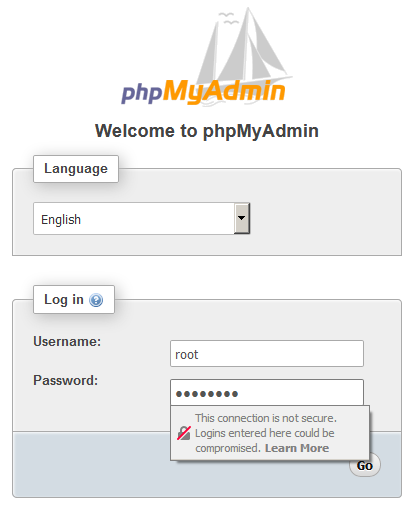 I was able to get into “PHPMyAdmin” with user Name”phpmyadmin” and the Password I set in the installation. But I still don’t have any Privileges or User Abilities. I have to tell you I just reinstalled everythin for the 5 Time. I’m saying OS Raspbian Debian 9 Stretch, Apache2, PHP, MariaDB and with your help MyPHPAdmin. I just can’t get any privileges or User Create Abilities with this combo. Thanks for Trying I guess I have to keep Looking. i have added Troubleshooting post where all LAMP related issues are.